Sensational 1950s pink crystal bracelet full of vintage charm and sophistication. A pretty choice for a pink wedding theme. 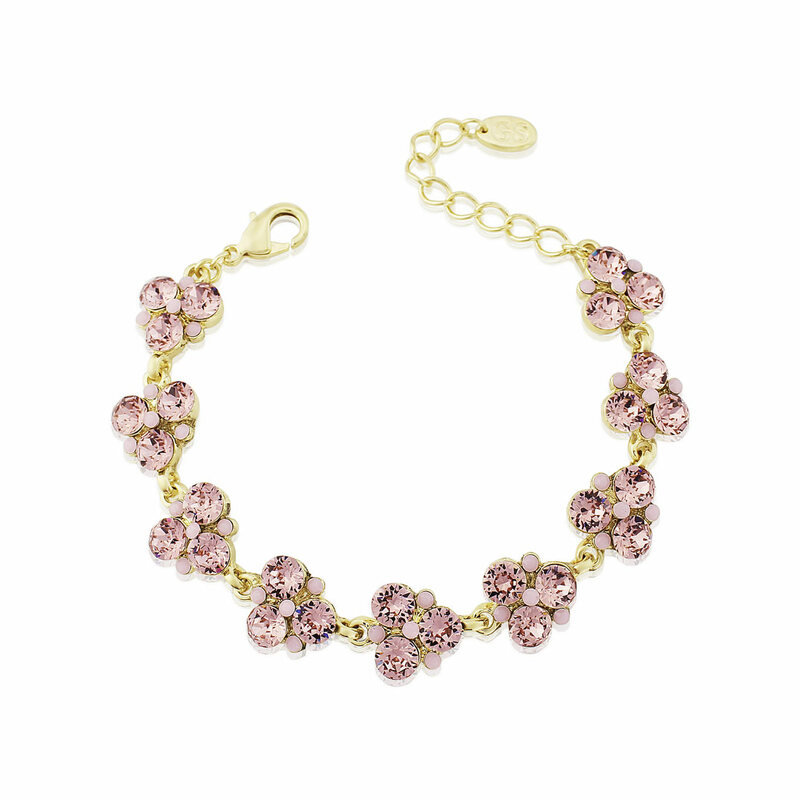 Thoughts of country gardens and rambling roses spring to mind when we look at our Paradise Pink Bracelet. 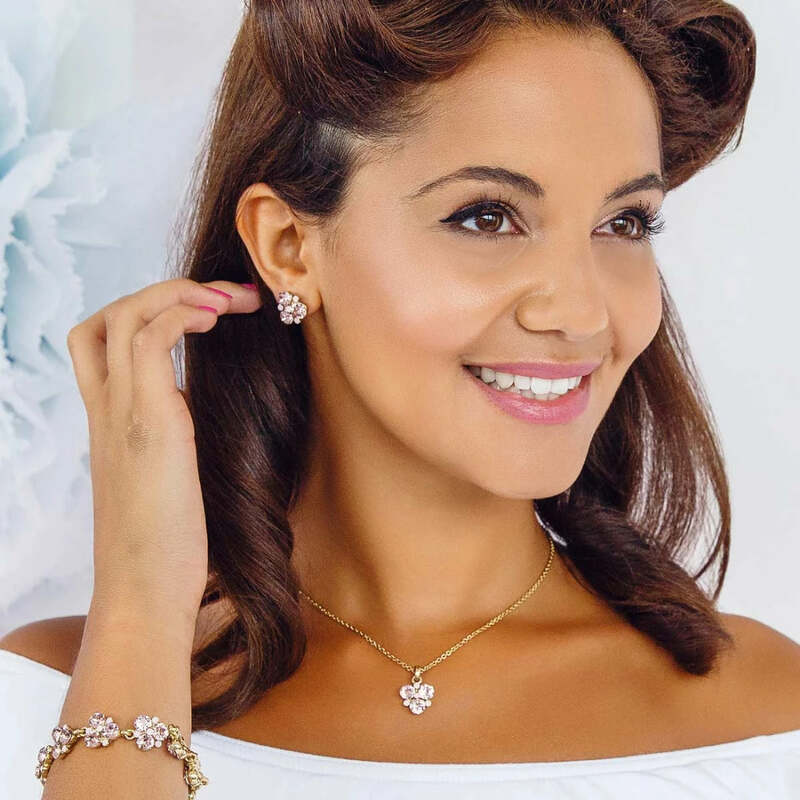 Set on old gold tone, links of antique pale pink crystals and petite milky pink crystals cluster together to create the most feminine of wrist adornments. A vintage delight, this stunning pink bracelet will dress up your 1950s starlet style. Whether you want to add a pop of colour to smart capri pants for a lunch with friends or dress up a full skirt dress for Rockabilly glam, this beautiful design will sparkle with feminine beauty. An oh-so-pretty wedding choice, pink can provide an array of stylish options for your wedding day. Team Paradise Pink with an antique lace gown for bridal pizzazz or adorn your ‘maids with our collection of mix and match accessories. Not only will they sparkle on your special day, these pieces will be treasured for years to come.